Svetlana’s Skin Secrets, Medspa is the next generation of skin care using advanced laser skin technology combined with personalized lifestyle recommendations to help our clients obtain results without invasive plastic surgery. Regardless of age and skin condition, our highly trained professionals will deliver healthier, youthful looking skin. A combination of treatment includes Photofacial/IPL, Skin Resurfacing, Microneedling, Skin Tightening, Chemical Peels and more to restore the appearance of youthful healthy skin. Laser hair removal is safe, painless, fast and highly-effective in reduction of unwanted hair. For face and body, stimulates the collagen and elastin production to tighten and lift sagging skin, reduce neck line, improve the appearance of wrinkles. Help brightening and glowing complexion, refresh the skin by diminishing the appearance of fine lines, wrinkles, enlarged pores, hyperpigmentation, acne, rosacea and more. 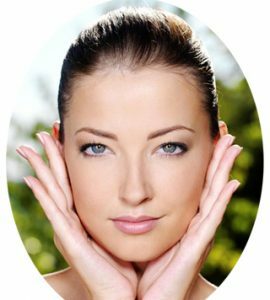 Skin resurfacing reduces signs of aging and uneven skin tone, improves fine lines and wrinkles, acne scars and enlarged pores, stimulates collagen growth. Increase skin elasticity, deeply hydrate & nourish, reduce the appearance of fine line and wrinkles. Resurfacing improves pore size, helps with fine lines/wrinkles, acne scar and more. Svetlana Skin Secrets, has changed my life for the better. After trying Botox and Juvederm I realized this was just a “quick fix”. Svetlana’s recommendations of Pixel Skin Resurfacing and Microdermabrasion has truly changed my skin for the better. Not only were my skin issues addressed, I was also educated on lifestyle changes that start from the inside. The information has changed my overall well being and am so thankful. Thank you so much! Birmingham, Bloomfield Hills, West Bloomfield, Farmington Hills, Franklin, Novi, Orchard Lake Village, Commerce Township, Walled Lake, Union Lake & other West Michigan areas.